We are in love with everything pom pom these days! 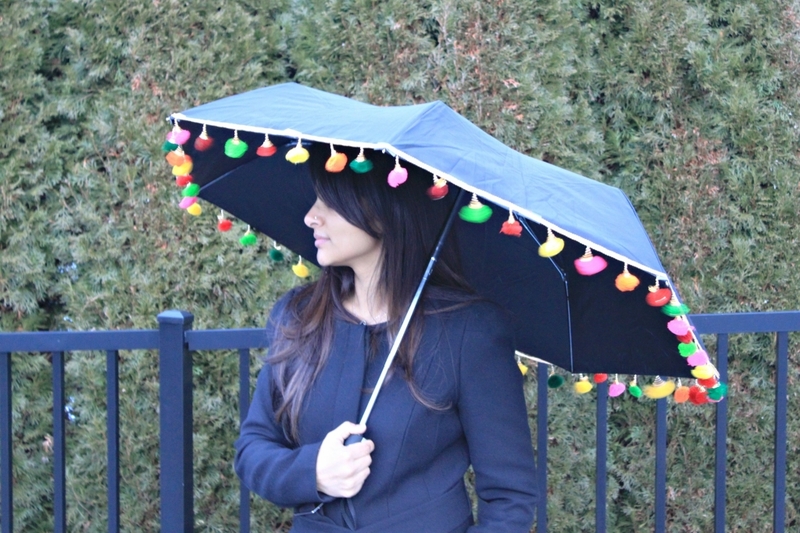 From tops to scarves, and now, umbrellas! Unfortunately, not everything comes ready made and that’s where Nina’s creative genius makes her appearance! Adding a South Asian accent to an everyday accessory makes her day! So, while experimenting with different ideas with some pom pom borders she had, she came up with this unique one! 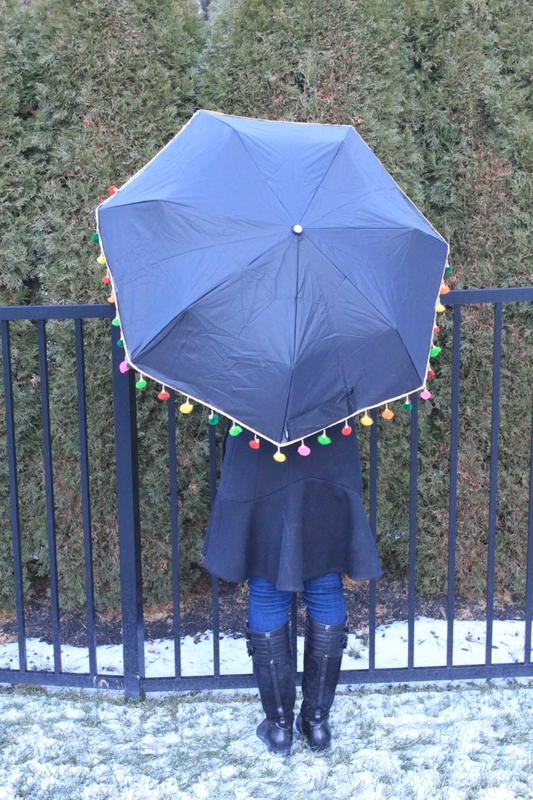 She added a border of multi-color pom poms to her otherwise bland black umbrella and the result was a fun look with minimal work! Check out the steps below. 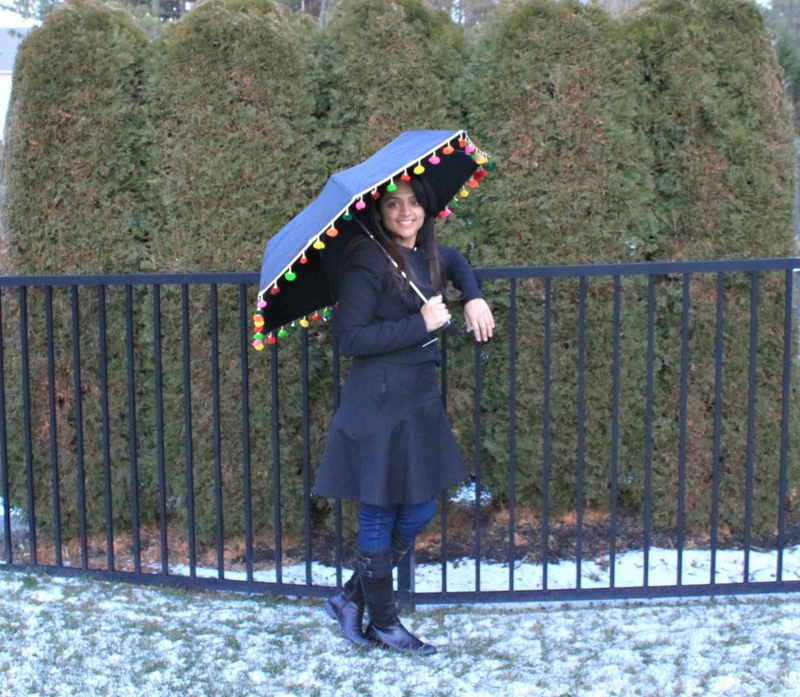 Grab any umbrella in your house – Nina did it on this black one but this would also look super cute on bright pink or any other neon color! 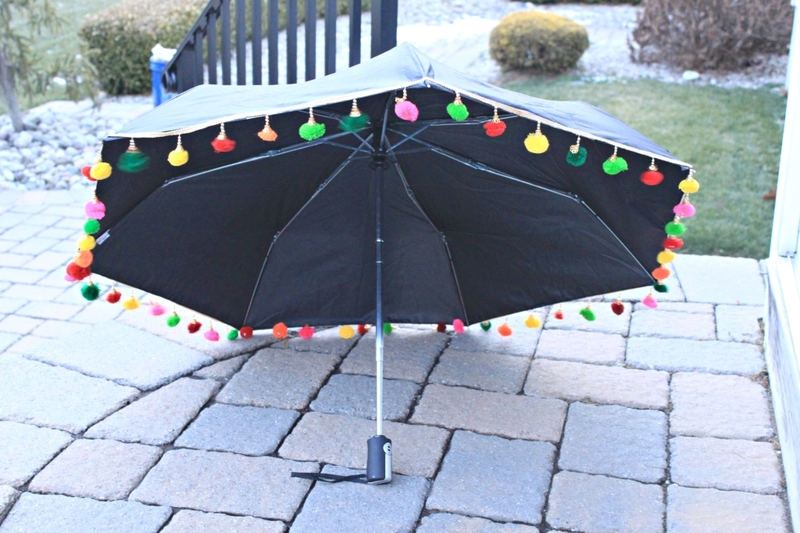 Take your pom pom border and line it with super glue 2-3 inches at a time so that it doesn’t dry out and stick it to the edge of the umbrella. 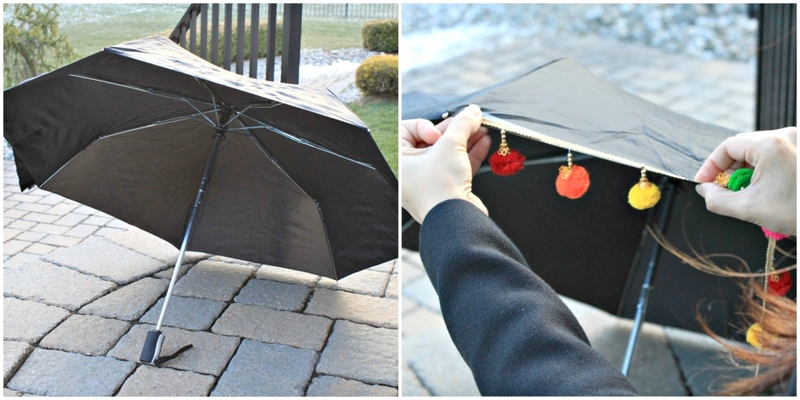 You can glue the border to the inside or outside of the umbrella, your choice! Let it dry for about 30-50 minutes and, you’re done! 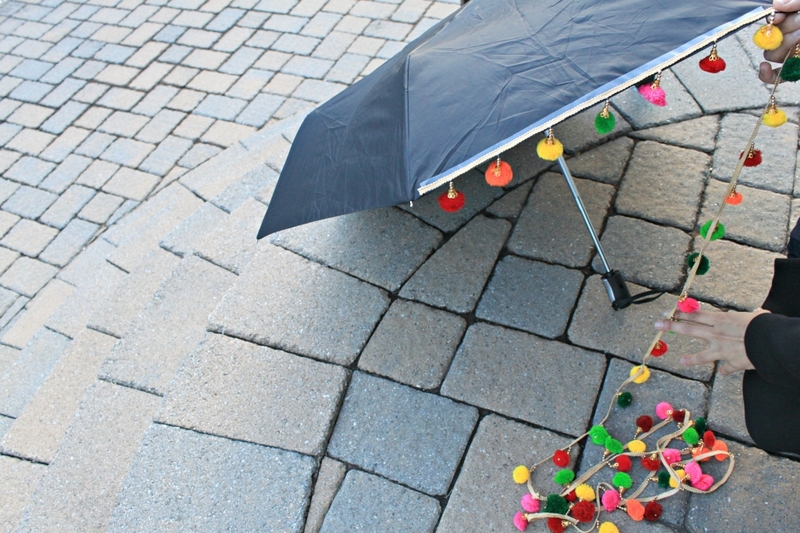 When used on a rainy day, keep the umbrella open so that the pom poms can dry out before you store it again. Pom Pom borders are usually available in local fabric stores or even online! 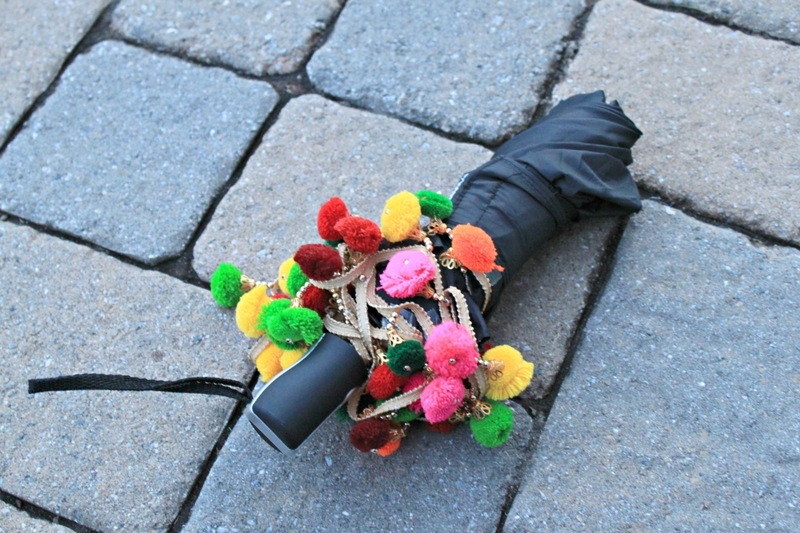 Make sure you Insta us with #runwaysandrattles with your one-of-a-kind pom pom umbrella!